A system can be 100% standards compliant, with a flawless database scheme and excellently programmed forms, and still produce bad or incomplete or unmaintainable collections. Why? Because broken or bad editorial flows produce their own "noise". List of other documents which refer to this person. Flexible editing including "Group view"
Metadata fixer helpfully detects common differences in metadata helping to "close the loop" and groom the data. Traditionally, controlled vocabularies or convergence of terms is designed in via database schemas and entered via forms with validation. The problem with this approach is when it's rigid, the database schema completely determines editorial structure. As needs change or exceptions occur, the system fails, either through dulling of data by workarounds or missing information or simply by underuse or abandonment of the system and lost editorial work waiting for a redesigned system. Take documents "as is" and wherever they are and index them. Provide interfaces that give feedback in the form of indexes and (semantic) search results. Resulting feedback loop drives convergence of terms. Toneelstof is an interactive timeline of theater activity in Flanders, Belgium produced by Constant in assignment of the Flemish Institution for the Performing Arts (VTI). It represented a republishing of materials original developed for DVD ROMs, based primarily on transcribed video interviews and a wealth of other archive materials both from within and outside of the VTI. The "backend" editors interface is based on MediaWiki (the software behind Wikipedia), enhanced with a "semantics" plugin (SemanticMediaWiki). Based on the experience of HyperText, description formats like RDF work by allowing "flavored links" within a text as a means of "tagging" a document or providing structured information. Here an external document (on the site UBU web, indicated by its URL) is annotated in the editor's wiki). In the related people entry, names, an auto-complete dropdown appears as soon as one types a name. Semi-colons may be used to separate multiple names. Systems like SemanticMediaWiki provide a compelling example of dynamic forms with powerful auto-completion. The key is that the forms may themselves be altered as needed to fit changing requirements. A second interface, Who's Who visualizes the entire database of people & organizations in the VTI database. 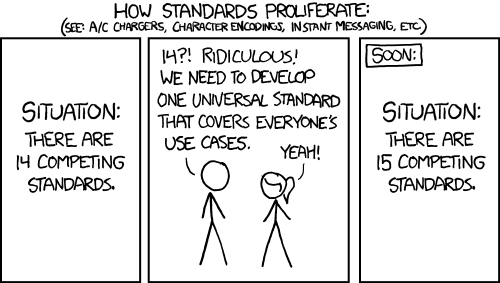 As the joke goes: the great thing about standards is there are so many to choose from. While there will never be (nor should be) one "killer" standard, there is some cohesion in a "mesh" of standards & best practices. Like the web itself, a sustainable strategy is to create tools and workflows that support this mesh. The selection of one standard doesn't exclude another. A useful taxonomy tool helps to create useful synonyms to group compatible labels. 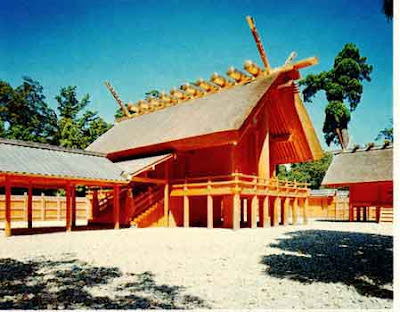 The shrine buildings at Naikū and Gekū, as well as the Uji Bridge, are rebuilt every 20 years as a part of the Shinto belief of the death and renewal of nature and the impermanence of all things — wabi-sabi — and as a way of passing building techniques from one generation to the next. The twenty year renewal process is called the Sengu. In August, in a long-standing tradition the people who live in Ise are allowed to enter the area around the Inner Sanctum of the Naiku as well as the Geku. This page was last modified on 9 December 2013, at 01:18.